The upcoming Slightly Mad Productions in racing games is just round the corner and we have some very amazing news to share today aswell. There’s a new trailer for Project CARS for us to showcase today but we’ll get to that a bit later. The console and PC game has been nothing short of mouthwatering from the moment the simulation game had started development and people generously shared into the development. Looks like its all coming together into a very fantastic game. 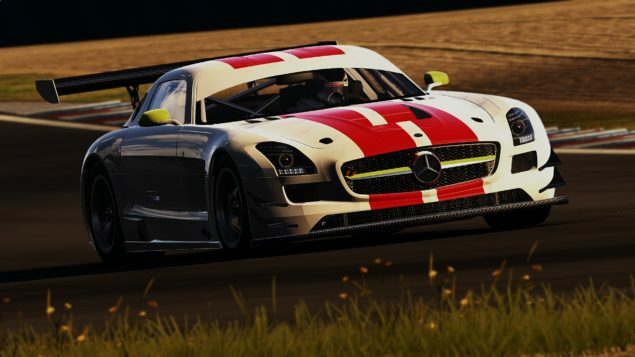 Project CARS has given the fans a lot to keep them excited, ranging from dynamic weather to numerous numbers of cars and some very classic tracks to keep us going. Project CARS is game that is built for the fans and funded by the fans. The slightest bit of detail in the game is amazing and by its release in May, we expect the game to get even better. We have already have seen an Xbox One 1080p gameplay which shows us roughly how amazing the game may look on its release. There may be many more trailer until the game releases in May but this one has it’s special significance as it showcases one of the key areas in that game and that are its tracks and lots of information regarding them. Originally the game was expected as a release for 2014 but has been delayed due to 2015 because, let’s face it, we don’t want a game that’s broken and unfinished. Lets have a look at the games trailer. Do let us know your views on Slightly Mads widely followed racing game tracks trailer.